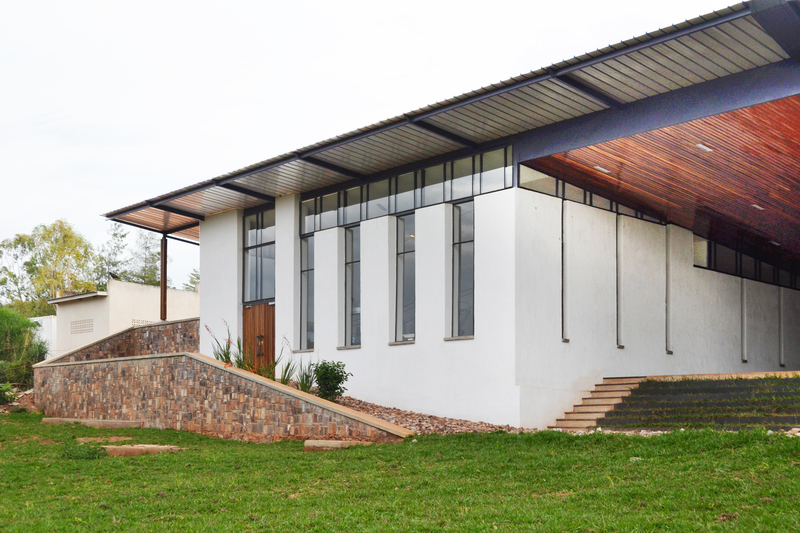 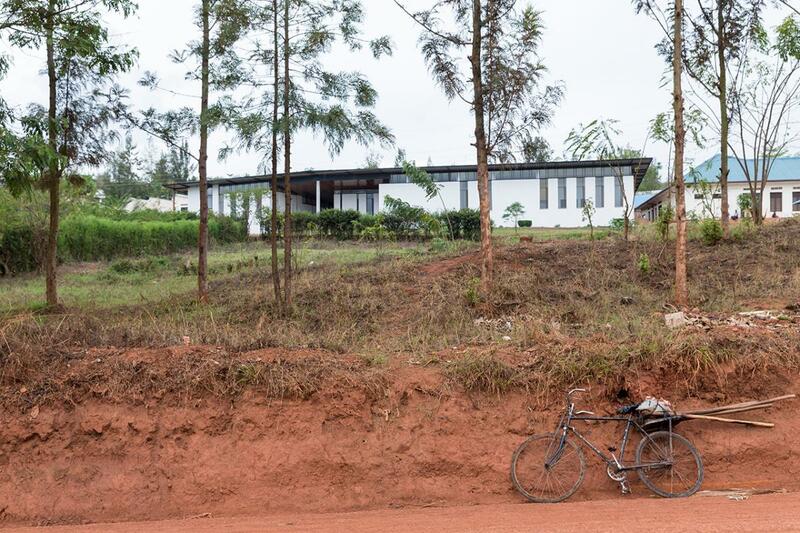 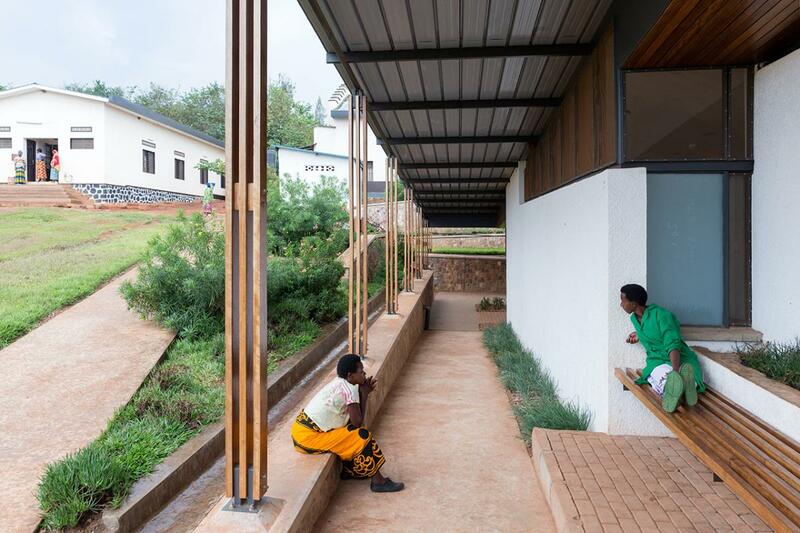 The Rwinkwavu neonatal care unit by Mass design group seeks to answer the age old question, Can Architecture improve maternal and child health? 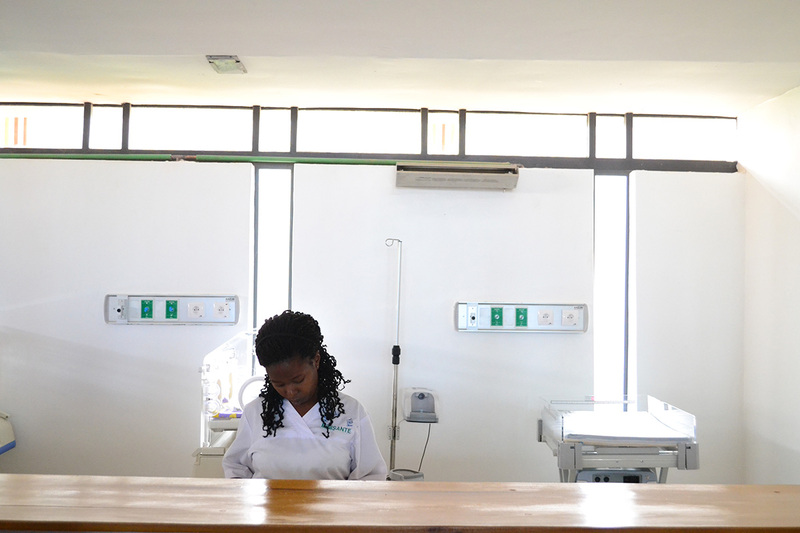 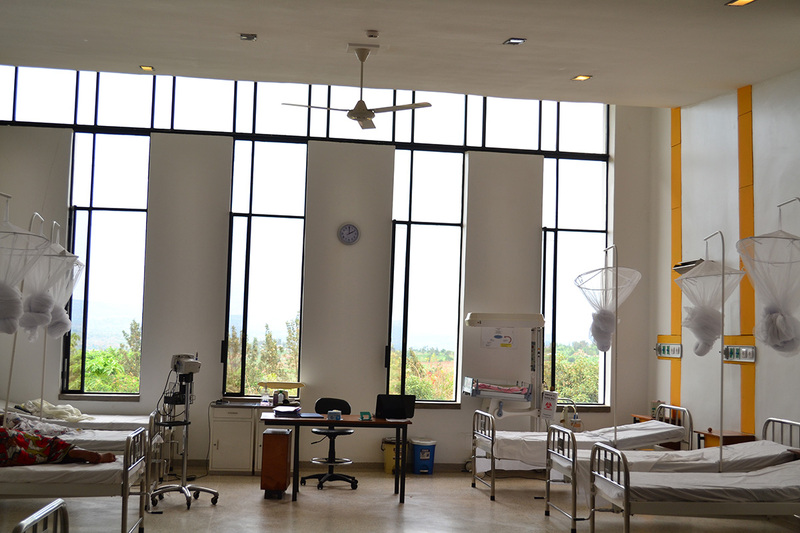 Built in response to Kayonza District’s high under-five mortality rate, the new operating suite and Neo-Natal Intensive Care Unit (NICU) at Rwinkwavu Hospital replaces a small, unventilated facility. 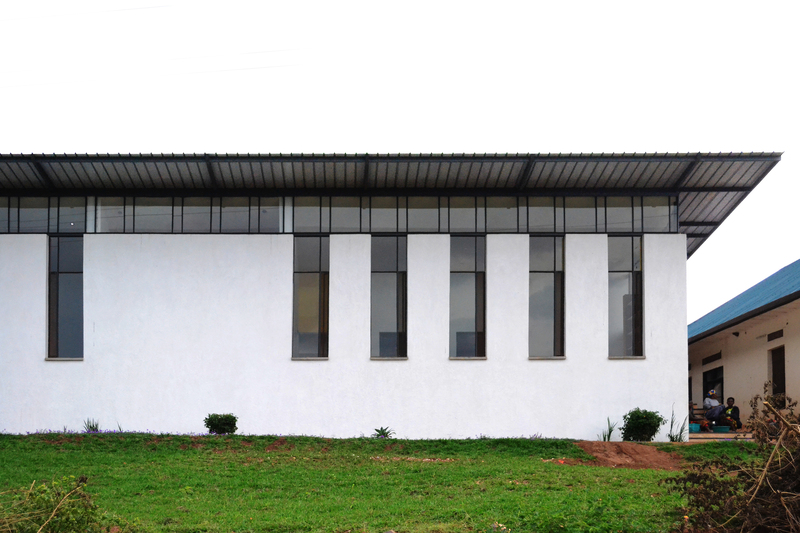 Optimized for cross-ventilation, with a system of high and low openings that encourage natural cross-breezes, its comfortable volumes are wrapped in large windows to bring the surrounding landscape directly into the recovery room and reduce lighting costs. 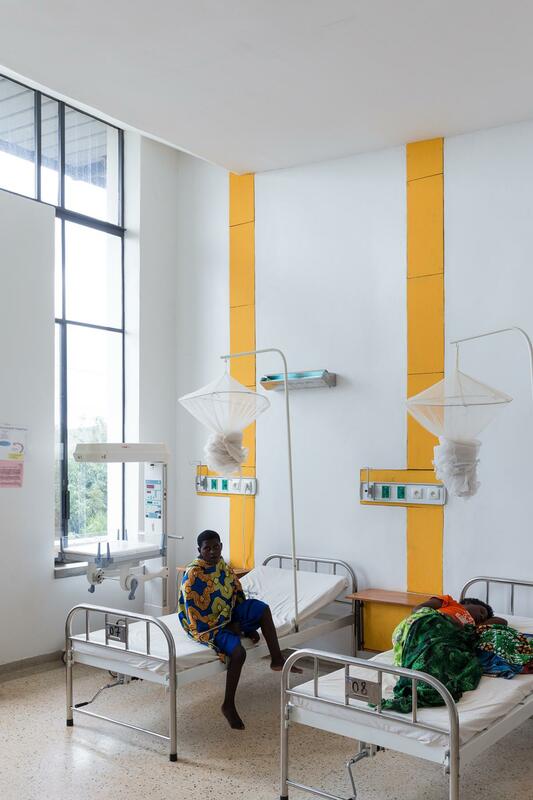 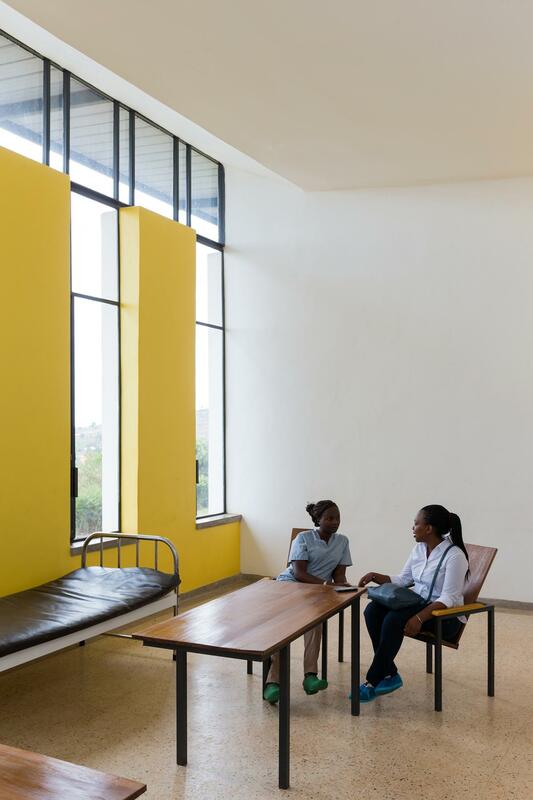 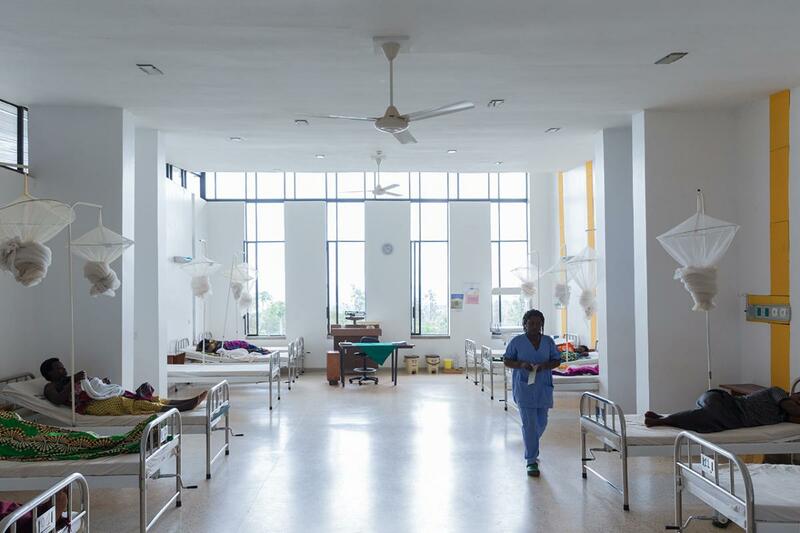 The building includes spaces for mothers’ recovery, for kangaroo care, and a nursery of infants; systems in the operating theater meet high demands for infection control while incorporating passive failsafes for resiliency in a rural, low-resource context. 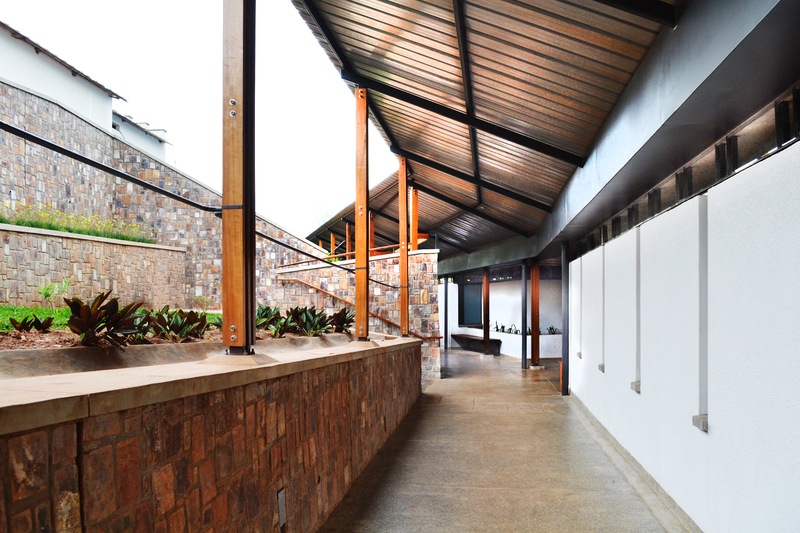 Outdoor communal areas, established for families and patient attendants, surround the building; these carefully landscaped spaces allow visitors to stay close at hand without overwhelming the NICU and OR’s medical and patient areas – a regular issue experienced in medical facilities around the country. 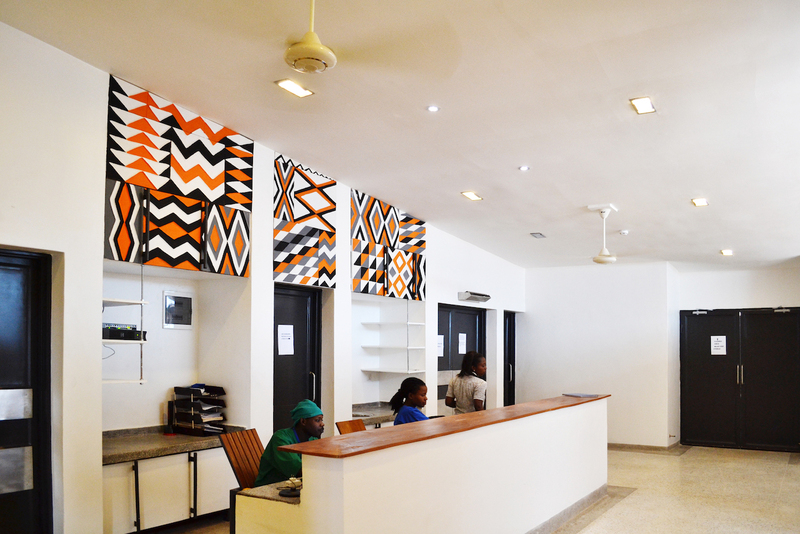 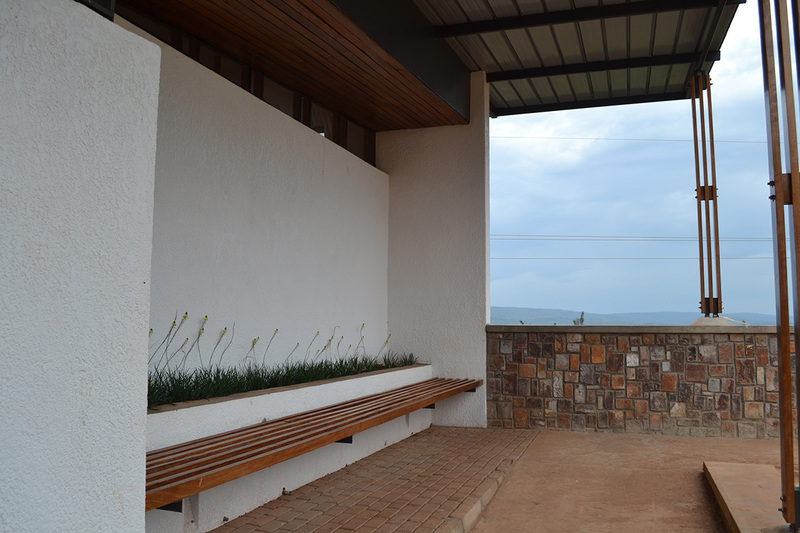 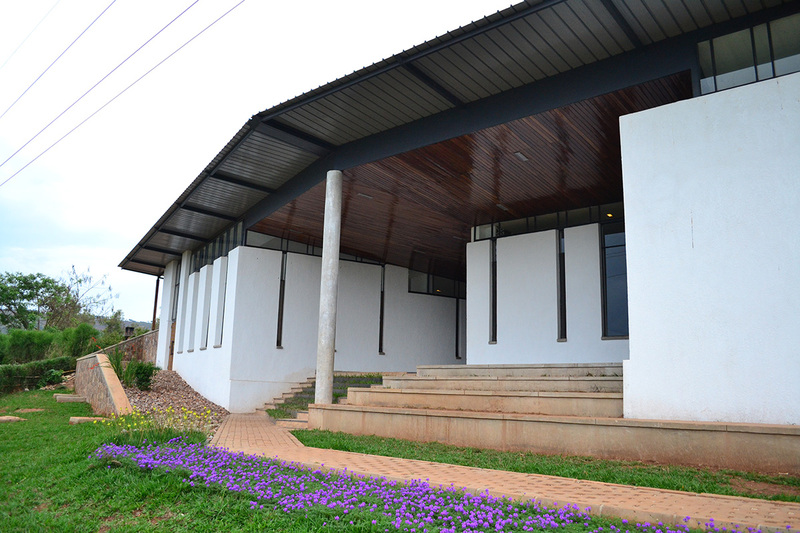 The Rwinkwavu NICU was built by local cooperatives rather than contractors, including those organized for the construction of Butaro Hospital; thirty women artists decorated the facility with traditional Imigongo panels. 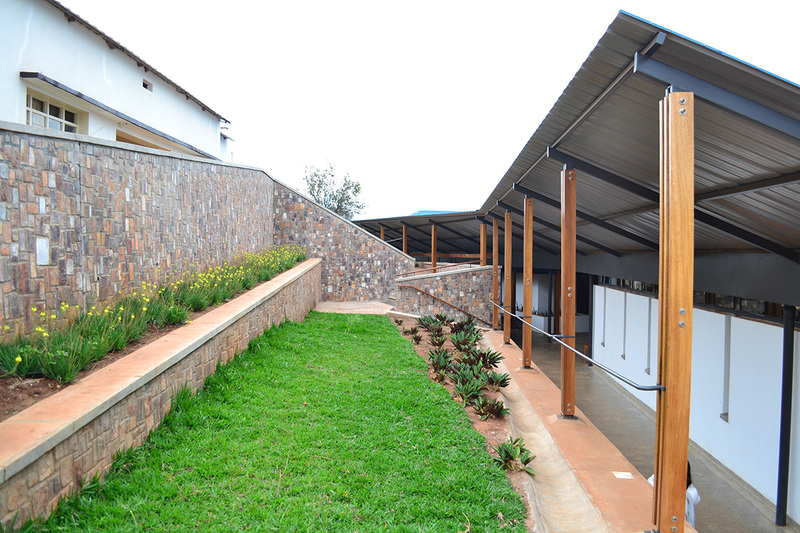 This project is in collaboration with Partners In Health and the Rwanda Ministry of Health and Winner of the SEED Award (2015). 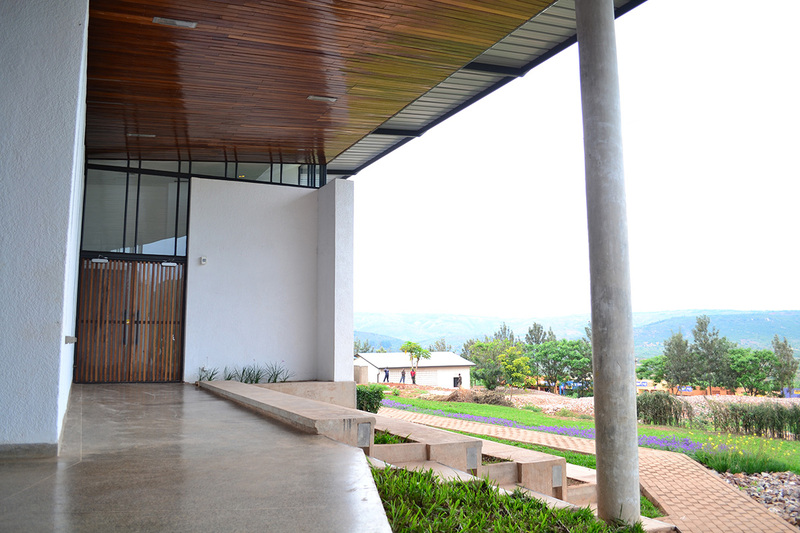 You can read up more detail about the project on Architecture in Development.